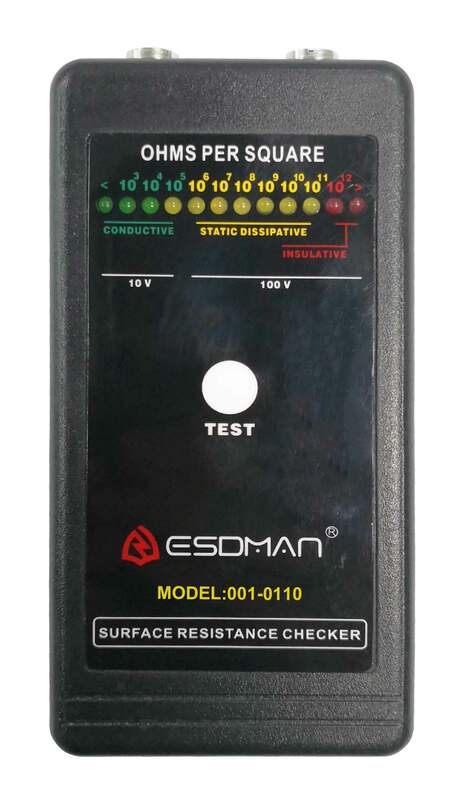 The ESDMAN 001-0110 is a pocket size,lightweight,auto ranging surface resistance meter,its internal parallel electrodes comply with DIN EN 100 015/1.IEC electrodes can be externally connected for tests as per IEC 61340-4-1.The measuring voltage is auto-ranging 10v to 100v. ◆ The value is indicated with 12 LED’s,in different colours. ◆ Plug in the supplied grounding cord at one socket of the instrument.The associated internal electrode is disconnected hereby. ◆ Connect the opposite end of the grounding cord to “ground”or a “groundable point”. ◆ Hold the instrument to the surface like described above and press the button. 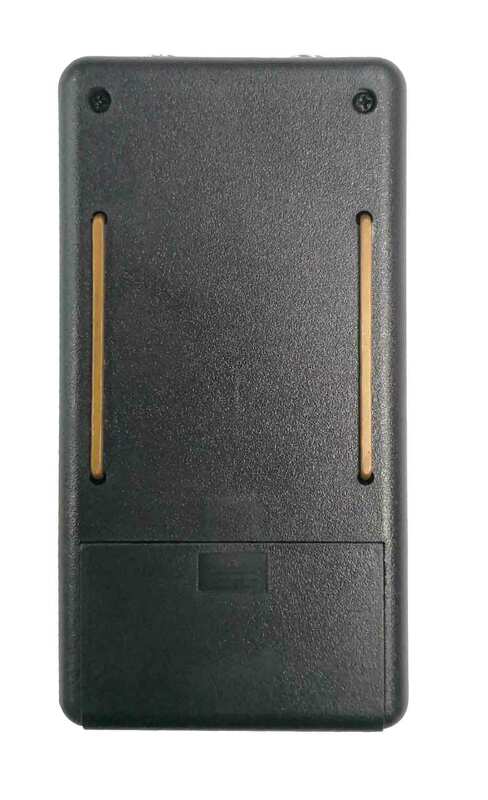 ◆ If the voltage of the battery is lower than 9.5V, the yellow diode lights, which means the "Voltage is too low"
◆ The recommended calibrating interval is 12 months. ◆ The calibrating is carried out by the supplier who is responsible for the instrument or the authorized calibrating organization. ◆ This instrument is not approved for measurements in explosion hazard areas! 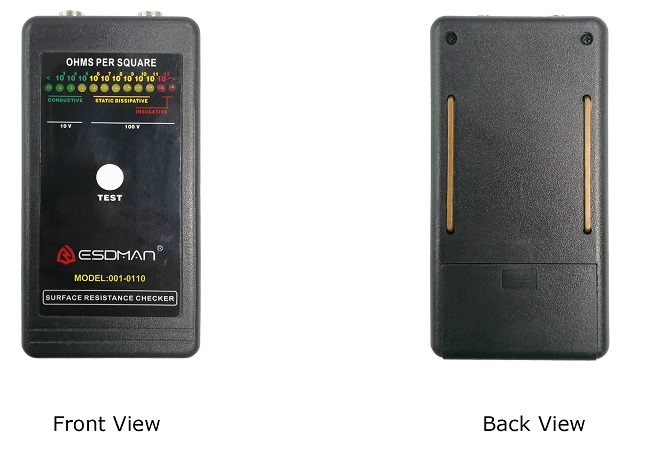 ◆ High electrostatic charges or measuring insulating highly charged materials might damage the instrument! ◆ Using the instrument in power plants is not permitted. When the LED flashes during measurement,it’s due to replace the 9v battery.Open the back cover of the instrument by unscrewing the four screws.Take care of the polarity.